Maintaining a pedestrian network that is safe and accessible to all users is a high priority of the Ada County Highway District. 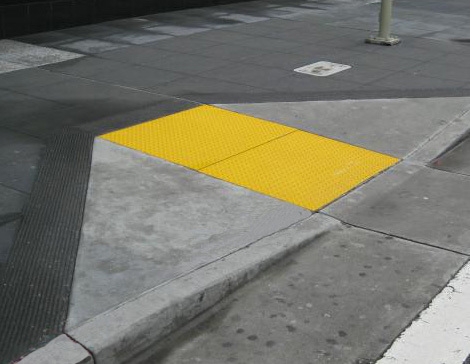 Each year, repairs are made to sidewalk locations throughout Ada County to increase safety and bring existing sidewalks and pedestrian ramps into compliance with the Americans with Disabilities Act (ADA). Sidewalk Hazards What Are They? A minimun of 3/4 inch vertical or horizontal misalignment. Damage caused by roots from a tree growing between the roadway and the sidewalk. Heaved areas caused by expansion and contraction. Sidewalk which has failed over a utility trench. Sidewalk originally constructed in a half-moon shape around a tree to avoid protruding roots; once the tree has been removed, a void is left, creating a potential hazard. Each year, ACHD budgets money for sidewalk repairs. The amount of money programed varies from year to year, but there are typically two or three large repair contracts per year. Sidewalk locations are prioritized by severity of condition; however, location is also a significant factor. 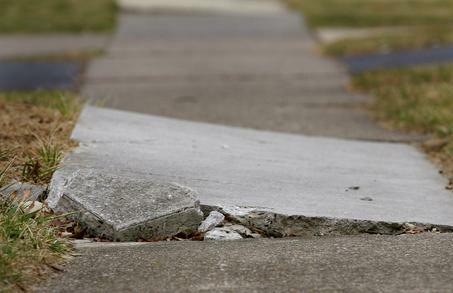 Sidewalk repairs are bundled by geographic location to maximize available funding. Due to the volume of sidewalk in need of repair, ACHD is limited as to how many locations it can improve each year.